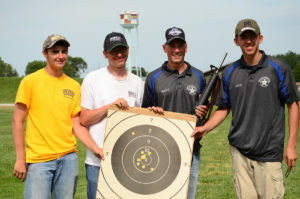 CAMP PERRY, Ohio – The Civilian Marksmanship Program (CMP) is busy preparing for the 2017 National Trophy Rifle and Pistol Matches, fired in June and July on the historic ranges of Camp Perry. It’s no April Fools' joke—Registration opens Saturday, April 1st. The Matches will again feature celebrated traditional events and clinics as well as staple CMP competitions and fresh ones designed specifically for the season. 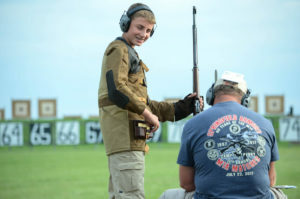 While at Camp Perry, guests may view first-hand the advances CMP is working to implement in order to provide the best overall learning and competition experience for rifle and pistol supporters and future generations of marksmanship. 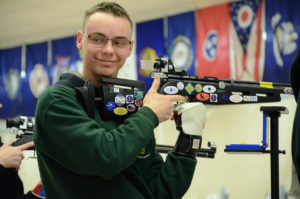 Updated electronic targets at its air gun range and a new public outdoor rifle and pistol range are just a few of the changes those attending the National Matches will be able to personally encounter at this year’s event. 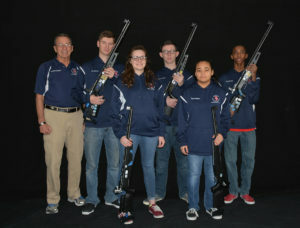 The schedule of events during the 2017 National Matches includes a blend of revered pistol and rifle matches such as the President’s 100, National Trophy Individual, National Trophy Team and Hearst Doubles matches that have attracted some of the best marksmen from around the world for decades. 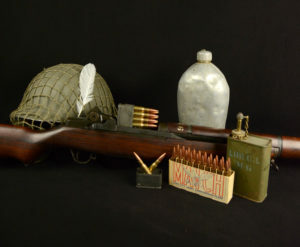 The National Trophy Infantry Match, or “Rattle Battle,” is an event unique to the National Matches and has become a crowd favorite from the excitement and unmatchable complexity it brings. 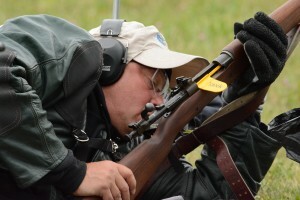 The CMP Games Matches include such events as the Rimfire Sporter Match, Carbine, Springfield, Vintage and Garand Matches. 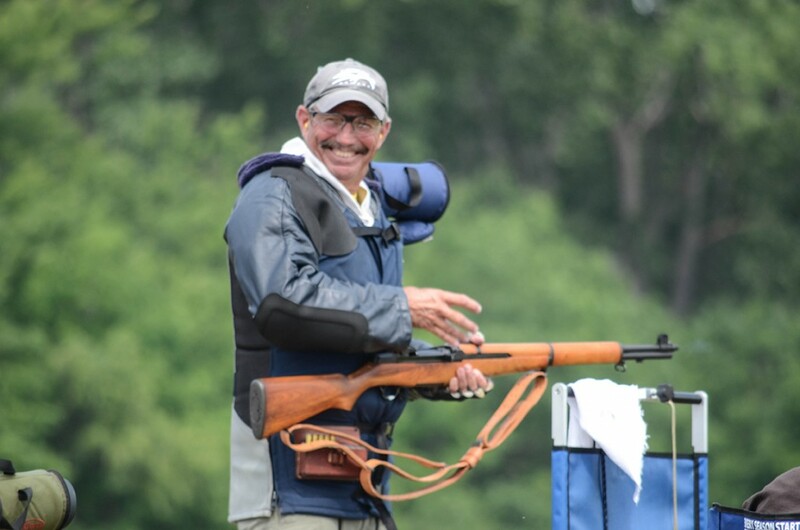 CMP Games Events provide a nostalgic set of competitions, like the M1 Garand, Springfield, Vintage Military, Vintage Sniper Matches and the Rimfire Sporter Rifle Match created for new and experienced marksmen alike for friendly and fun competition. The CMP’s Cup Series events provide even more competition opportunities, kicking off the 2017 National Matches. The CMP Cup Series will feature a 4-Man Team Match, 800 Aggregate along with an EIC Service Rifle Match. Also new this year, will be a Glock (GSSF) Match held on July 1st and CMP has teamed up with Springfield Armory to host the Springfield M1A Match on Saturday, July 22nd. Small Arms Firing Schools offered at Camp Perry offer hands-on instruction from the best marksman in the U.S.
On top of competition, a Small Arms Firing School (SAFS) will also be held for rifle and pistol enthusiasts, where participants are instructed by some of the top military shooters in the country on firearm safety and competition technique. The SAFS courses have been a main feature at the National Matches at Camp Perry since 1918. 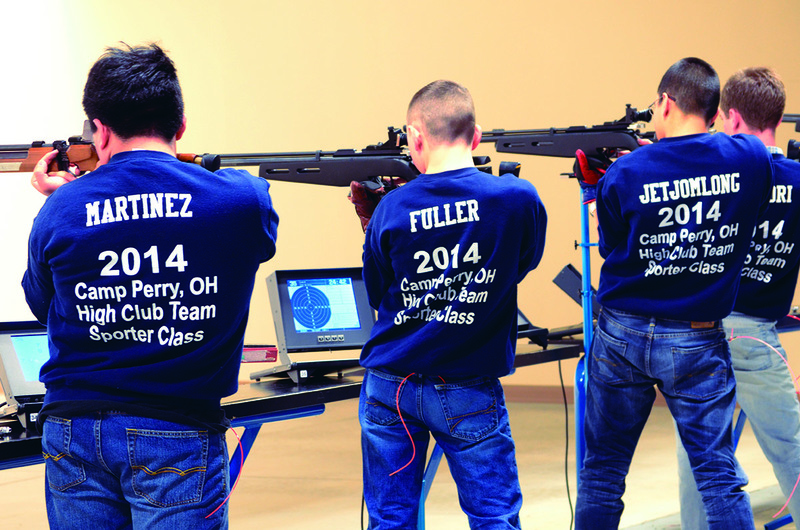 Many other rifle and pistol clinics and learning opportunities, taught by qualified professionals, will also be available throughout the National Matches. 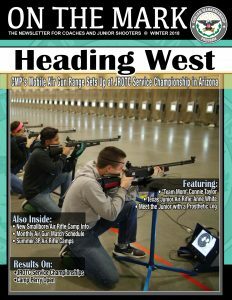 There are several marksmanship clinics available including the Remington Advanced Highpower Clinic, the USMC Junior Highpower Clinic, the CMP/NRA Smallbore Camp, As-Issued Military Rifle Clinics and an M1 Maintenance Clinic. The CMP is in search of volunteer support during the 2017 National Match events. These volunteers will be assisting with CMP National Match events only and will be picked from a selection process through all received Volunteer Applications. Volunteer duties may include but are not limited to firing line work as range officers, assistance with stats/scorecards or other tasks assigned as needed. 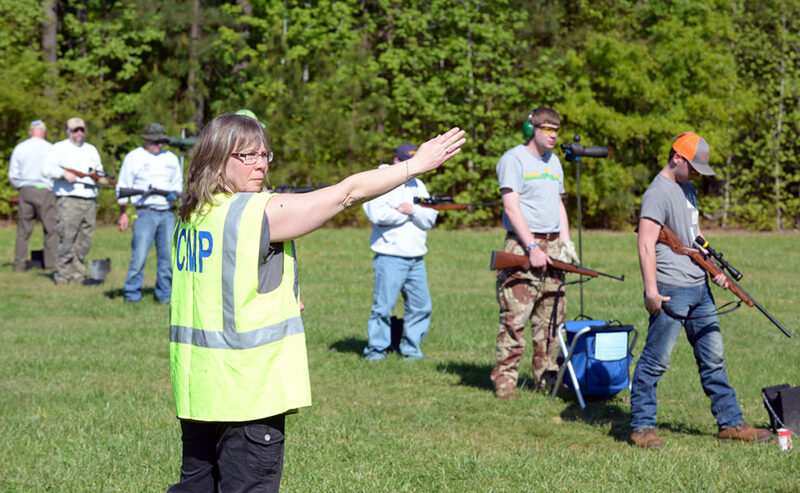 A CMP Range Officer is signaling to the CRO that “the line is ready” in a CMP Rimfire Sporter Match. A new CMP Range Officer Training Course will soon be available to train volunteer Range Officers to serve in competitions the CMP governs and sanctions. Individuals earning a volunteer spot will receive a per diem travel stipend (based on amount of time worked) and exclusive benefits offered only to those who graciously donate their time. No past experience is needed to volunteer, though knowledge of guns, gun safety and range procedures is a plus! Helpers are encouraged to compete during times he or she is not volunteering. Chosen volunteers will attend a specialized Range Officer training course, provided by the CMP, that will quickly brush up on all you need to know. The Range Officer Course is typically offered for $75/person, but is completely FREE for volunteers – a possible $150 value for those volunteering for both rifle and pistol. 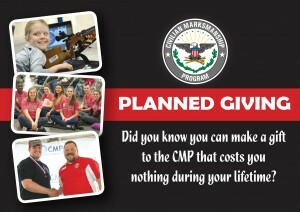 To become a CMP Volunteer, apply on our website at http://thecmp.org/competitions/competition-volunteers/ or contact Vera Snyder, volunteer specialist, at 419-635-2141 ext. 782 or [email protected]. New Air Gun Electronic Targets! 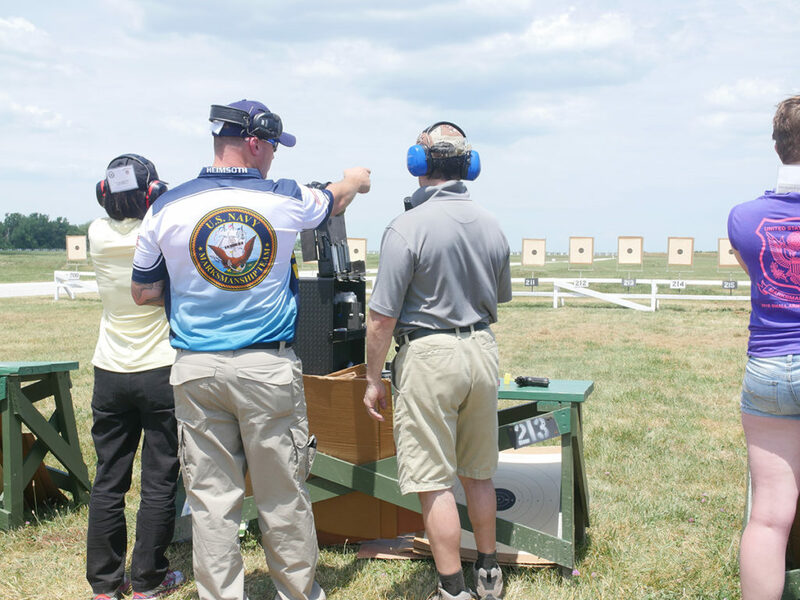 While at Camp Perry for the National Matches, be sure to visit the Gary Anderson CMP Competition Center, located on the grounds. Besides showcasing authentic Olympic and other memorabilia from the career of prominent American marksman Gary Anderson, the facility also contains an updated 80-point air gun range. New range targets, installed in November 2016, are crafted by Kongsberg Target Systems (KTS) with OpticScore technology, which are scored optically by internal LED lights rather than acoustically like the prior target system. Monitors at each firing point instantly display scores, with button functions and an LED lighted screen that allow ease of use even for individuals who may not feel technologically-savvy. 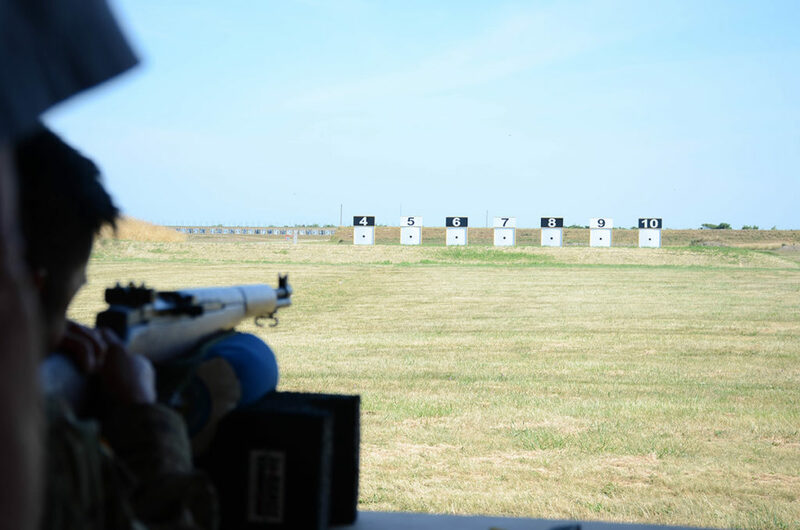 Marksmanship Nights at the Gary Anderson CMP Competition Center at Camp Perry is open August through June, Tuesday and Thursday evenings from 5-8 p.m. Guests of all ages and experience levels may fire air rifles or pistols for just a small fee, with air guns available for loan, if needed. 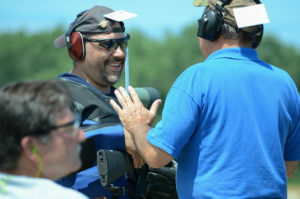 For more information, visit http://thecmp.org/air/cmp-competition-centers/open-public-shooting/. 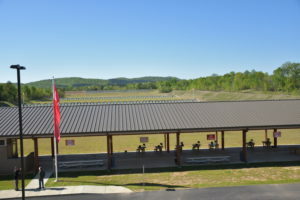 Similar to the electronic air gun range, visitors to Camp Perry are welcome to fire highpower and smallbore rifles as well as pistols on the CMP’s outdoor electronic targets, also powered by the Kongsberg Technology Systems, on Petrarca Range. The range will be open every Monday from 10 a.m. - 6 p.m., beginning March 20, until daylight savings time in November when the time will change to 10 a.m. - 5 p.m. and will remain open until Dec. 4, 2017, when it will close for the season. The electronic targets at Petrarca Range can accommodate both rifle and pistol firing and is capable of simulating multiple distances. Petrarca will also remain open almost daily during the duration of the National Matches. Vintage and modern military matches have also been added to the Petrarca schedule throughout the year. Going to the range has never been easier! With the use of electronic targets, marksmen no longer need to walk downrange to change paper or use a scope to score – simply approach the firing line and watch shots instantly score and appear on monitors located at each firing point. For more information, visit the Petrarca Range page on the CMP website at http://thecmp.org/competitions/cmp-targets-at-petrarca-range/. National Match events are open to the public, and spectators are welcome to observe firing on the Camp Perry ranges at any time. Guests are urged to participate in the many exciting activities and visual attractions offered during the Match season. Registration for the 2017 National Matches opens April 1. For more information on the National Trophy Pistol and Rifle Matches, log on to http://thecmp.org/competitions/cmp-national-matches/. We hope to see you there! Need information for the National Pistol Championship, entry fees, registration and lodging. James, We will be updating our website with the registration link soon. CMP Registration will open March 1st. 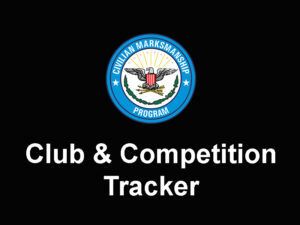 We have the National Match calendar posted at <a href="http://thecmp.org/competitions/cmp-national-matches/"></a>. Lodging information may be found at <a href="http://thecmp.org/competitions/cmp-national-matches/area-lodging-links/"></a>. If you have any additional questions, feel free to contact us at [email protected] or (419) 635-2141, ext. 706 or 714.